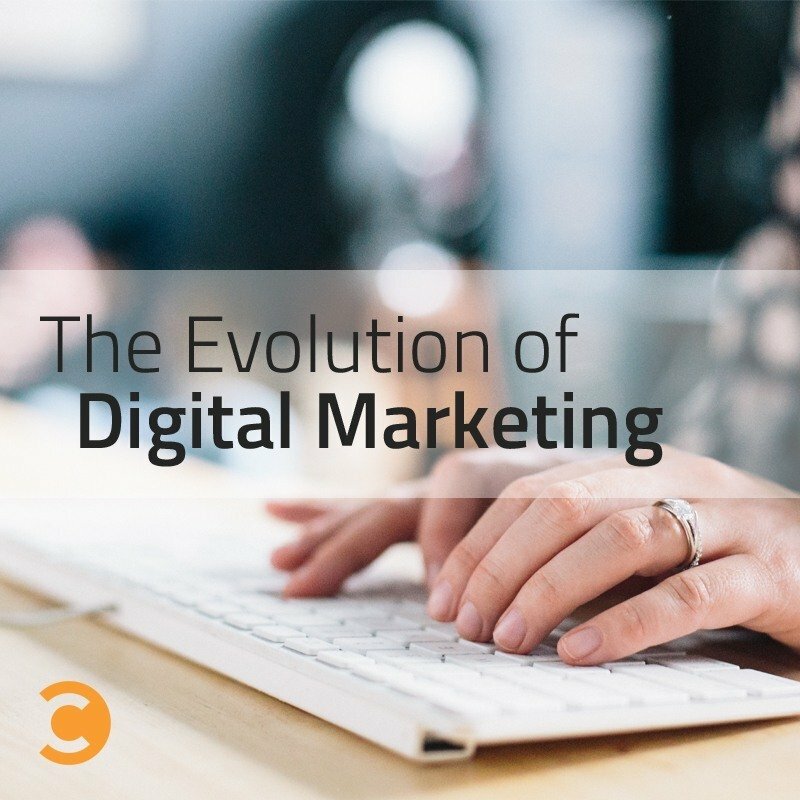 Digital marketing education is changing, and we’re changing too. Starting today, we are completely overhauling our email. Starting today, we are launching…. Each day (M-Th) we select a topic and provide you the 3 best resources about that topic from across the Web. The format doesn’t matter. What matters is they are truly, inherently, disproportionately useful to you. It is the definitive information on the topic. You’ll also receive access to the Definitive archives, so when you need answers about a particular facet of digital marketing, you can grab them there in an instant. Thursday = Recaps of the 8-10 blog posts each week here at Convince & Convert, and our 4 (soon to be 5) podcasts. As a subscriber (and if you’re not a subscriber, please give it a try) you can choose to receive only content marketing topics, or only social media topics, etc. via an easy-to-use preference center. It’s the digital marketing advice and education you want, nothing more and nothing less. The overwhelming majority of newsletters (like our previous effort) feature curation based on time (here’s what you need to know today/this week). But thinking about the real needs of digital marketers we decided that what really matters is QUALITY not TIMELINESS. So we built Definitive to surface the very best resources about the topics that matter, even if they weren’t published in the last 24 hours. 2. What do I need to do to get Definitive? If you are a subscriber to our previous One Thing email, nothing. You’ll automatically start receiving Definitive today. If you don’t get email from us today, please consider giving Definitive a try. It will always be free. 3. What if I don’t want Definitive? I hope you’ll give it a couple weeks before you decide, but you can unsubscribe at any time using the link at the bottom of the email. 4. Who picks the resources that are featured for each topic? Our editorial team, led by our managing editor Jess Ostroff, and assisted by the senior strategists (and me) here at Convince & Convert. 5. Aren’t you just going to feature your own stuff all the time? No. If there are topics for which we believe Convince & Convert has published Definitive-worthy content, we’ll include it. But the reality is that typically we will not be featured in the Monday, Tuesday, Wednesday emails. Thursdays emails will include summaries of our blog and podcasts. 6. Are you going to spam me? No. Each issue of Definitive includes 1-2 links to resources from our partners. And once or twice per month I may send you an email that focuses on a great new ebook, Webinar, or event from a sponsor. These emails underwrite the significant time it will take to research and create Definitive every day. I personally approve every single one of these opportunities, and we will never send you something that we don’t think is worth your time. If you ever disagree, PLEASE email me. 7. I have some great content about a digital marketing topic. How can I get it featured in Definitive? Send us an email at info@convinceandconvert.com or use the contact form on this site. We’ll check it out ASAP. 8. I’m not interested in today’s topic in Definitive right now, but I might be later. What should I do? That’s why we are creating the Definitive archive, available to subscribers. You will have access to everything we’ve ever published in Definitive so if you’re not needing great resources on Snapchat for Business (for example) today, but might in 45 days, you’ll know where to turn at that point. 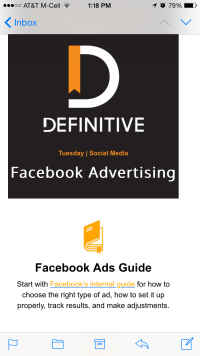 Think of Definitive as the ultimate living library for digital marketing education. 9. What happens when the resources in Definitive become out-of-date or are superseded by something new and better? Digital marketing best practices change like Katy Perry concert costumes. So we fully expect to readdress each Definitive topic every 6-12 months. So if we tell you tomorrow that these are the 3 best pieces of content in the world about Facebook Custom Audiences, we’ll probably examine that topic again in 6 months to make sure we surface the best and most accurate resources. 10. I have a bunch of great ideas for topics for Definitive. What do I do? Great! I really want to hear from our community about the topics they want us to cover in Definitive. Please email us at info@convinceandconvert.com (I get those emails personally) or use the contact us form and we’ll try to cover your topic as soon as we can. 11. Something I created was featured in Definitive. Yay! What do I do now? I would be delighted if you would let your readers/viewers/friends/Mom know that you were featured in Definitive. Also, it’s entirely likely that you’ll hear from our editorial team giving you a heads up, and providing a sample tweet/FB post etc for you to use, as well as a nifty badge you can place in your content confirming your Definitive triumph. Thanks to everyone for your support (and patience) as we embark on this Definitive journey. I hope you love it!